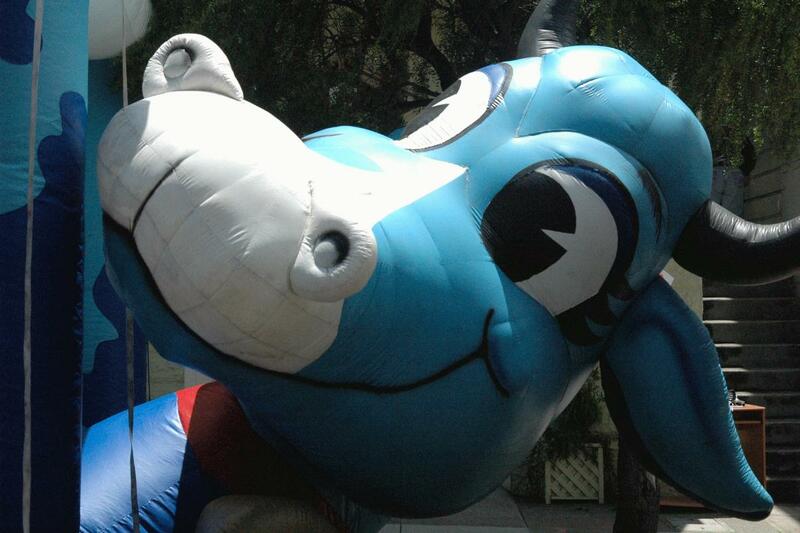 Cow utterly happy to have kids bounce around inside it. 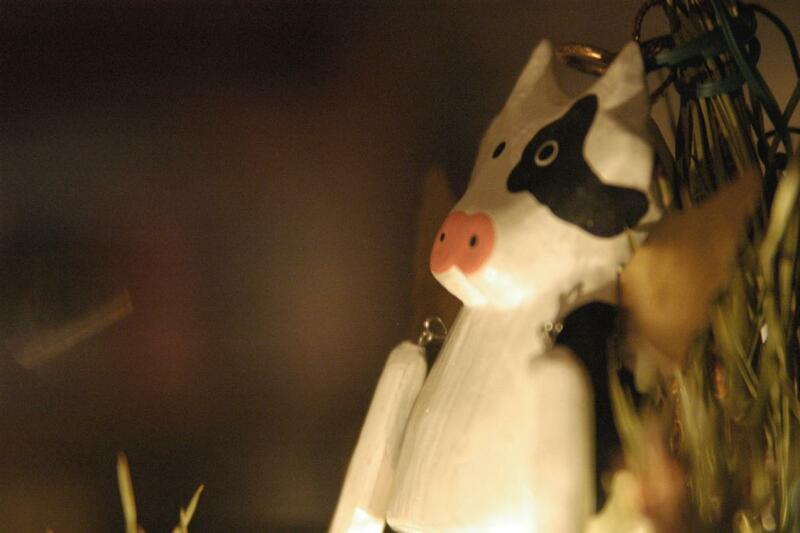 A Christmas tree ornament was carved from wood and painted to look like a cow. 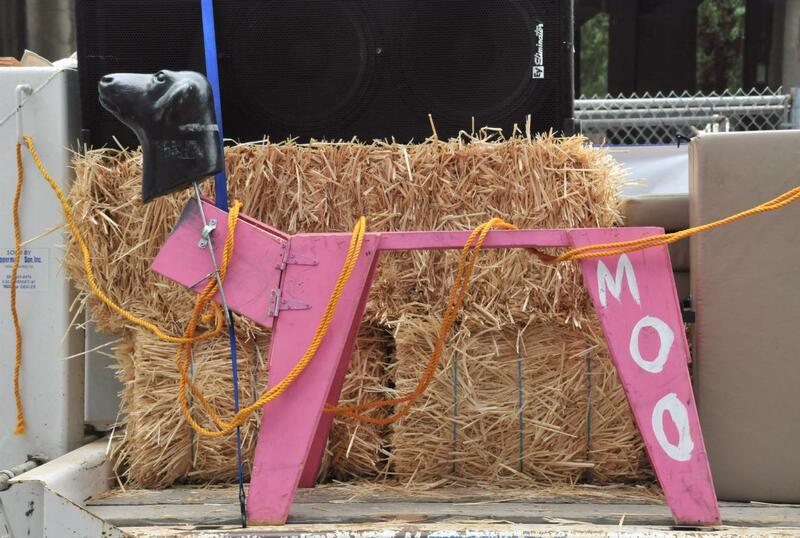 On the back of a float, a very poorly rendered cow labeled "Moo" stood wearing a dog's head. 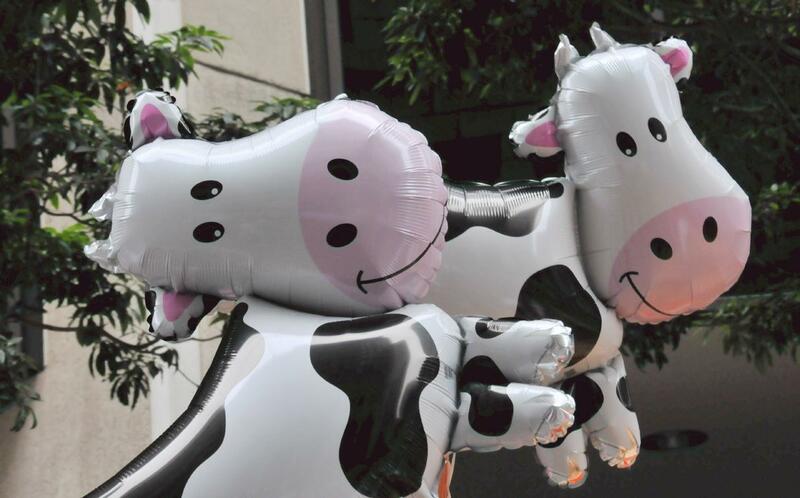 Flying cow balloons all appeared to be in a good mood. 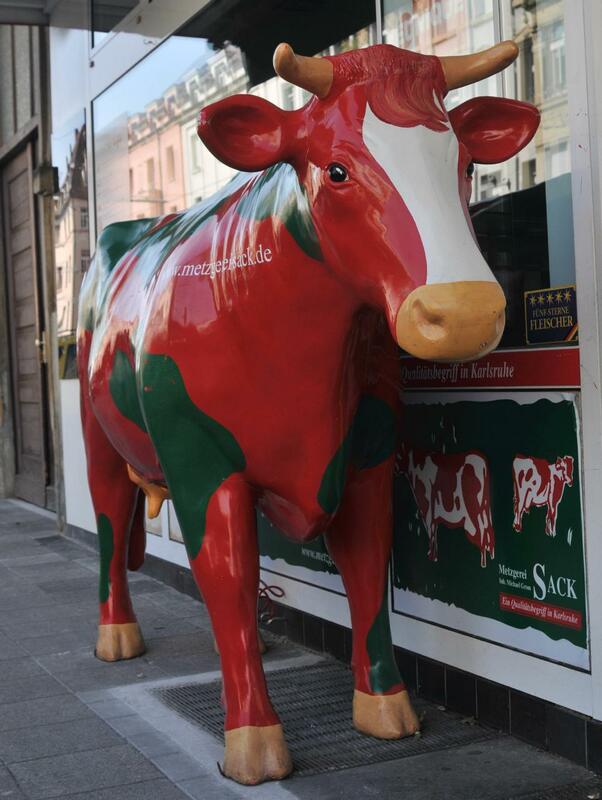 A well made fiberglass cow stood outside the Metzgerei Sack butcher shop and delictessen. The shop featured such treats as Ham tortellini in a tomato cream sauce and grated cheese for just €4.90. 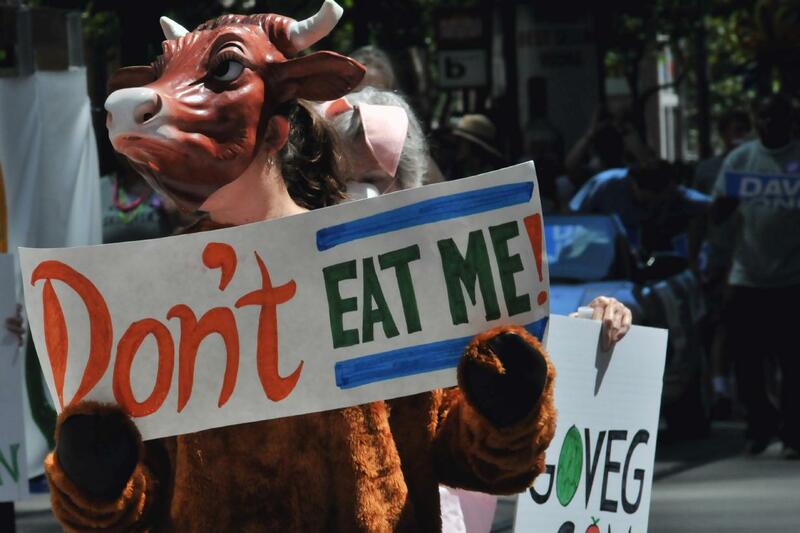 Vegetarian gays marched in the the pride parade. The signs discouraged eating of meat and encouraged the eating of vegetables.